We’re pretty proud of our Draper James Derby Collection. 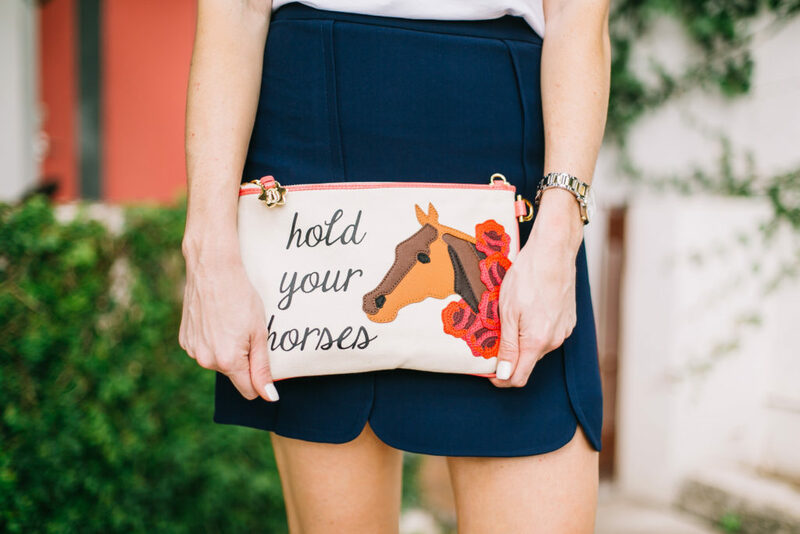 Featuring one of our favorite (equine-inpired!) 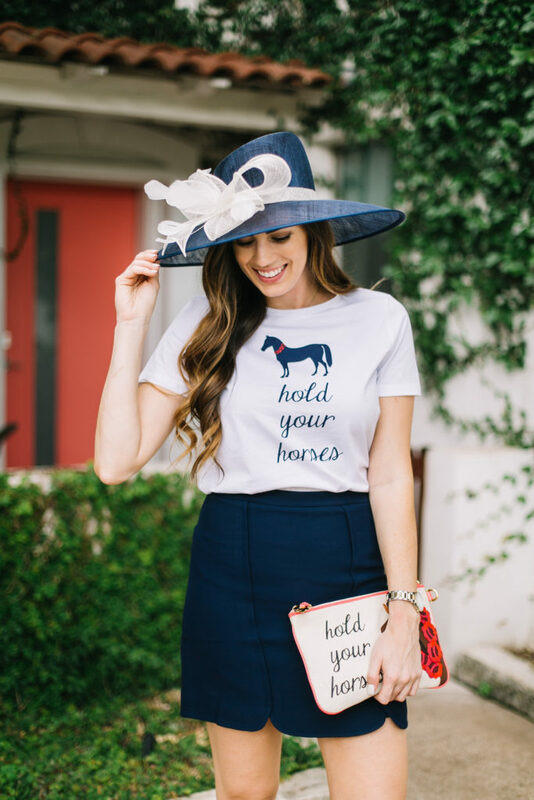 sayings, our “Hold Your Horses” Tee, Envelope Clutch, and wide-brimmed Sun Hat are definite winners. 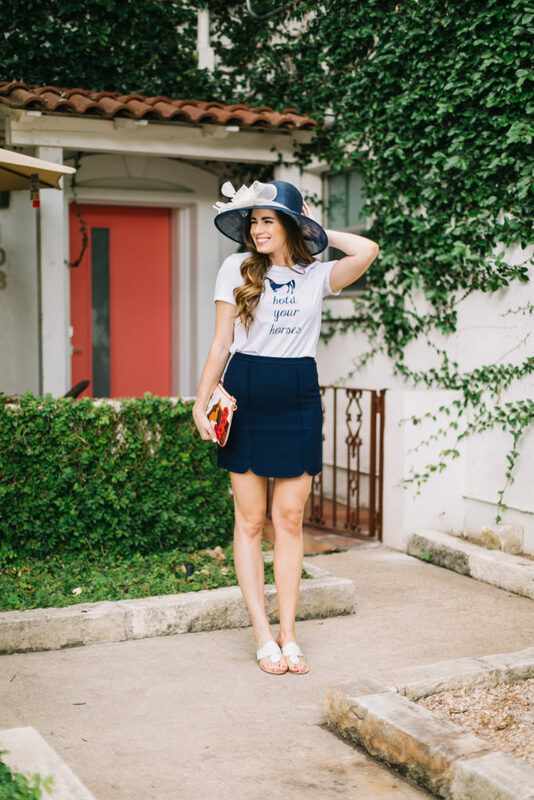 We’re pleased as punch blogger Hilary Elrod of Texas fashion blog By, Hilary Rose thinks so, too. 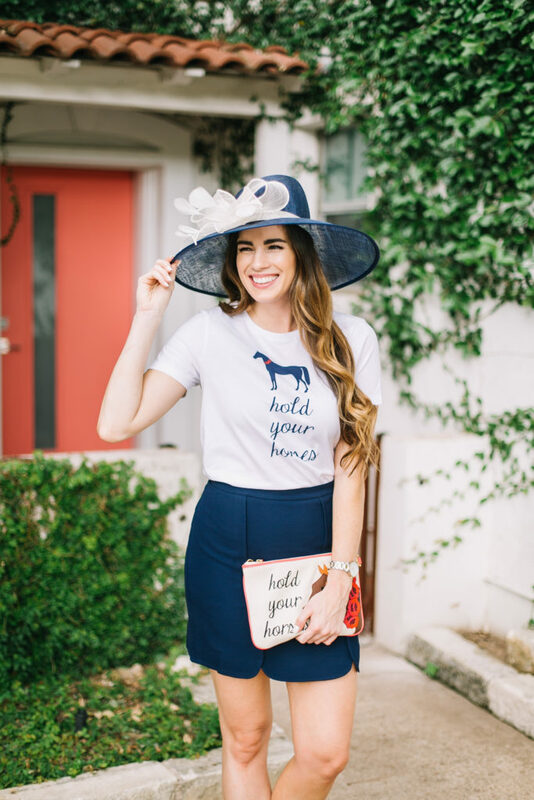 See how Hilary modeled her Derby look, and get a read on the Austin-based blogger’s Derby Day plans below. 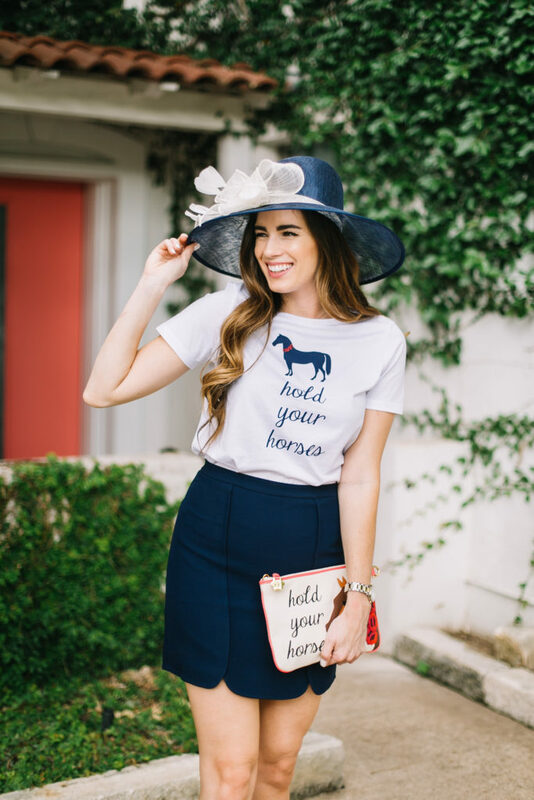 Blogger Hilary Elrod of By, Hilary Rose wears the “Hold Your Horses” Tee and Clutch from our Draper James Derby collection paired with our Margaret Skirt. I’ll be attending the Victory Cup Derby Day polo match in Austin. I had such a blast last year! It’s so fun to have such a fun Derby party to attend in my hometown. Mint juleps, y’all! 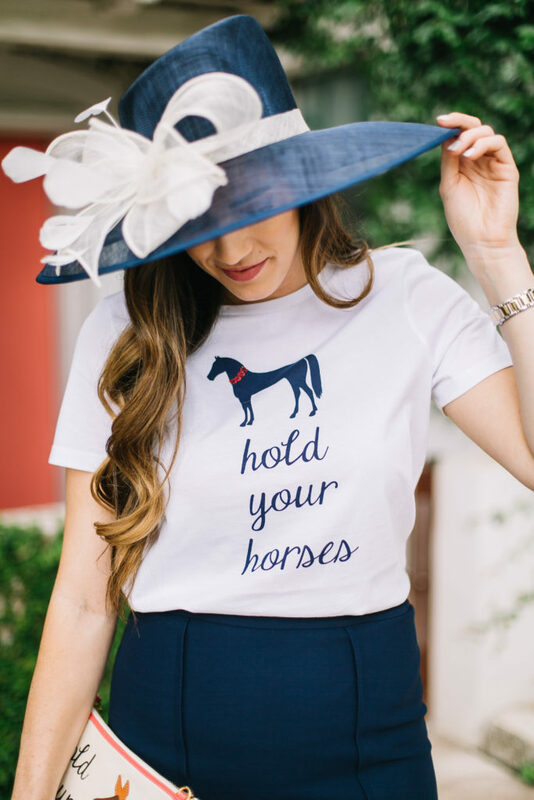 I love getting together with friends and having traditional Derby drinks and bites and making the most of this fun day. What do you love about Derby fashion and style? 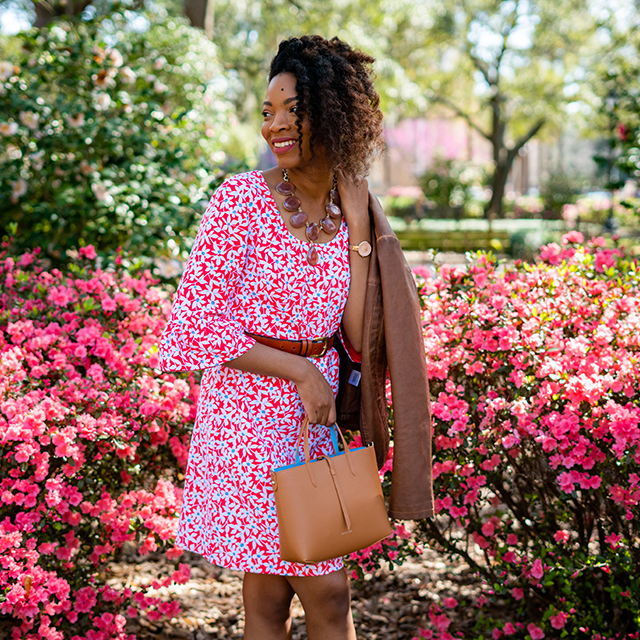 Everything, but I love the exciting, perfectly coordinated outfits the most because I love to dress up. It’s truly a day when you can have so much fun with your outfit—the more outrageous the better, which is right up my alley. Tips for the Derby for a first-timer? 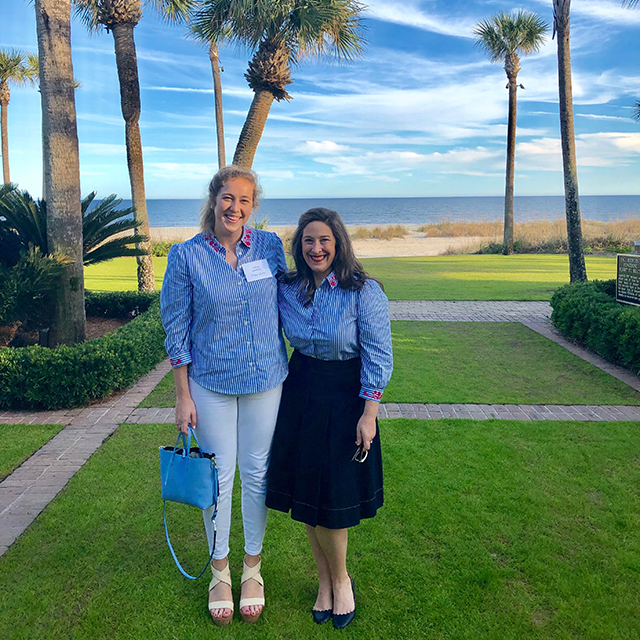 You’ll be walking around all day, so wearing a chunky heel or wedge is really important so you can stomp divots (if you’re going to a polo match like me) and be comfortable and not worry about your feet. I’ve also gotten really sunburned before, so keeping a travel-size sunscreen handy will keep you from worrying about being in the sun all day. Shop the entire Draper James Derby Collection here.